Public schools located in Cook County. To view or use these shapefiles, compression software and special GIS software, such as ESRI ArcGIS, is required. Hospitals located in Cook County. To view or use these shapefiles, compression software and special GIS software, such as ESRI ArcGIS, is required. Private schools located in Cook County. To view or use these shapefiles, compression software and special GIS software, such as ESRI ArcGIS, is required. Fishing lakes in Cook County with contours. To view or use these shapefiles, compression software and special GIS software, such as ESRI ArcGIS, is required. Routes located in Cook County. To view or use these shapefiles, compression software and special GIS software, such as ESRI ArcGIS, is required. Cook County facilities. To view or use these shapefiles, compression software and special GIS software, such as ESRI ArcGIS, is required. KML file of cemeteries located in Cook County. To view or use these files, special GIS software such as Google Earth is required. Cemetaries located in Cook County. To view or use these shapefiles, compression software and special GIS software, such as ESRI ArcGIS, is required. KML file of public schools located in Cook County. To view or use these files, special GIS software such as Google Earth is required. Cook County Highway Department 2011 construction locations. To view or use these shapefiles, compression software and special GIS software, such as ESRI ArcGIS, is required. KML file of hospitals located in Cook County. To view or use these files, special GIS software such as Google Earth is required. KML file of routes located in Cook County. To view or use these files, special GIS software such as Google Earth is required. Groves within the Forest Preserve District of Cook County. To view or use these shapefiles, compression software and special GIS software, such as ESRI ArcGIS, is required. 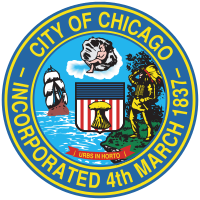 KML file of Cook County facilities. To view or use these files, special GIS software such as Google Earth is required. KML file of private schools located in Cook County. To view or use these files, special GIS software such as Google Earth is required.